Case №1: When we operate the device from the current of AC 220 V.
"RATON for Advanced technologies Co." offer implementation of the program of latest technology for mobile welding equipments. 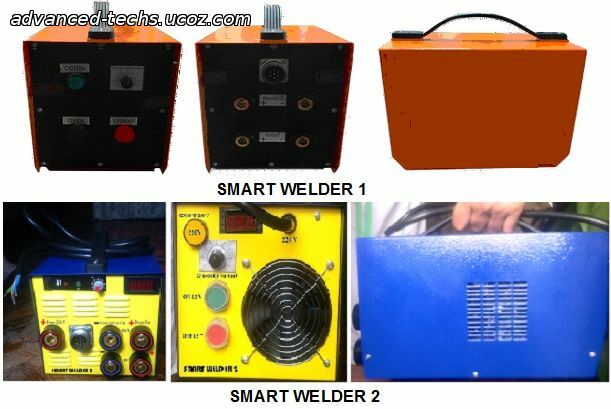 The first: is the control and welder box weight of 5 kg only for SMART WELDER 1 and 7kg for SMART WELDER 2. 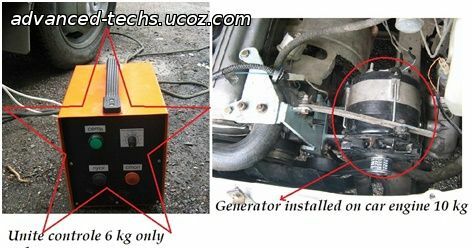 The second: is the small generator weight of 10 kg for 400 A or 20 kg for 550 A. the generator will be installed on any car or truck or any type of engines. The compact size of the generator and the control box-unit and light weight (total – 16 - 17 kg for 400 A or 26-27kg for 550 A) allow you to set the unit on any vehicles: trucks, special vehicles. 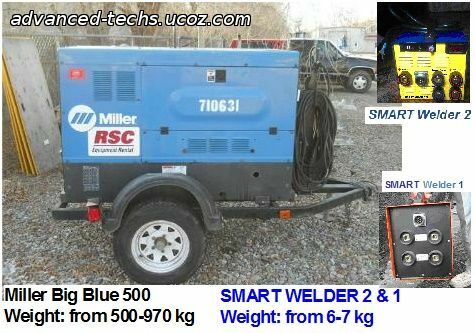 Due to its unique design autonomous welding generator "SMART Welder 1" can be installed on practically any kind of external drive. 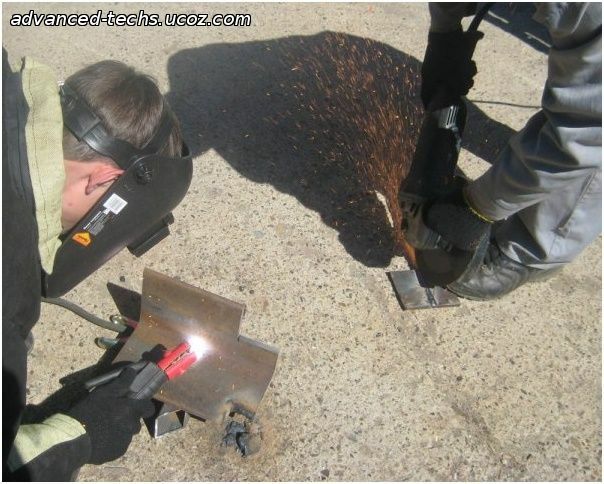 "SMART Welder 1 & 2" is used for welding of cast iron, steel, copper, cutting and welding metals. Welding current of "SMART Welder 1 & 2 " - is pulsed, high frequency and half amplitude current. The diameter of the electrode is used from 1.6 to 8 mm. Ability to use remote unit (welding source) at a great distance from the external drive provides ideal conditions for production welding, plumbing and other works of high complexity. Welding cable length of "Smart Welder 1" (without reducing current) - can reach to 100 meters. On demand, the equipment welding cables up to 100 m.
Home appliances (microwave or electric oven, Tv, electric kettle, etc.). Unlike traditional welders “SMART Welder 1 & 2 " does not require interruption of the operation and is able to produce quality welds in continuously during the shift! Exponent of protection "SMART Welder 1" consistent with the indicators of (IP 65) but SMART WELDER 2 . Universal welding generator autonomous "SMART Welder 1 & 2 " suitable for use outdoors (for construction and industrial sites, agriculture, etc. ), during adverse weather conditions (rain, snow). The equipment does not require protection from any kind of rainfall and pollution. We offer you a mobile welding equipment "SMART Welder-1 & 2 " (Universal Mobile Welder), which is now an alternative to the existing Diesel Generator units welder, permanently installed on the engine of any vehicle with a remote control unit is virtually maintenance free, has small dimensions and weight (of remote control no more than 6 kg or 7 kg), saves time and money. "SMART Welder-1 & 2 " is developed on the basis of Russian innovative technologies and has, by its characteristics which make it the unique in the world. "SMART Welder-1 & 2 " (hereinafter referred to as assembly) for use as a power supply for manual arc welding of high-frequency pulse current of different materials and alloys, electrodes with any type of coating with a diameter of 1,6 to 8 mm inclusive. Structurally, the unit consists of a portable control unit and welding generator inductor type, fastened to the motor vehicle by drive belt. 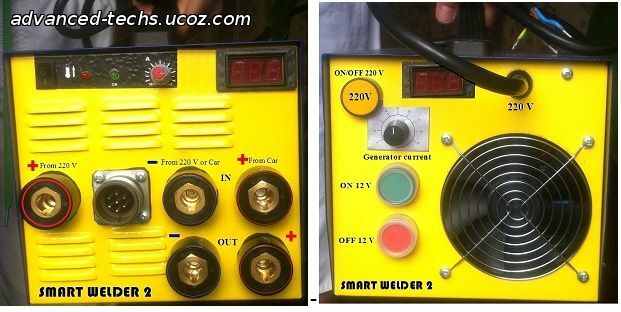 "SMART Welder 1 & 2 " is intended for use as a power supply for manual arc welding electrodes with any type of coverage.
" SMART Welder 1 & 2 " is based on innovative technologies and has in its unique quality characteristics in the world. Portable generator control unit allows you to adjust and control the force of the welding current within the control range with an error less than 5%. The design of the welding device «SMART Welder 1 & 2» excludes damage and residual deformation of the welding and short circuits. 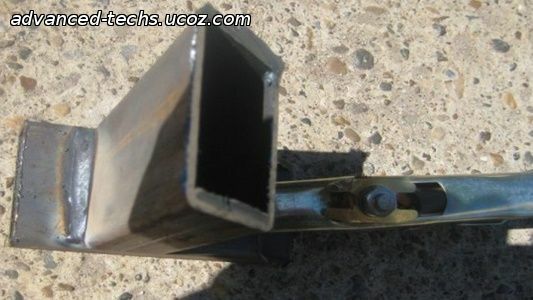 Welding seam – is an indicator of the quality of welding. 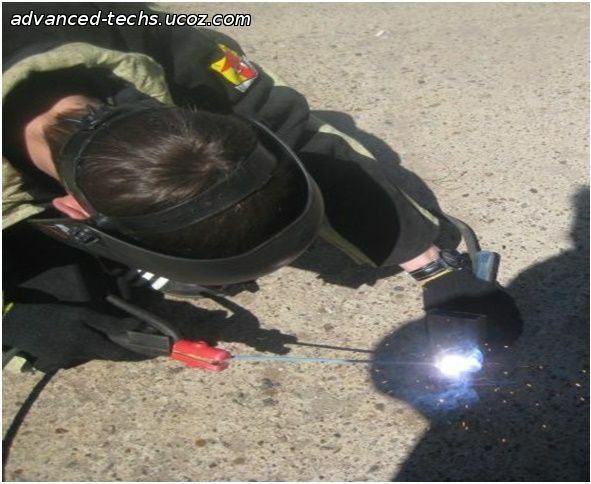 Generally the quality of the weld depends on the welding equipment used in the work. When working in manual arc welding unit « SMART Welder 1&2" welding seam has higher quality features: durability, uniformity, lack of hills, the constrictions. This is achieved by the almost complete absence of current oscillations. The unit is designed to be installed on any vehicle with on board power supply DC 12/24 v, which can provide the necessary drive power from generator unit T 4061. NOTE: Case №1: When we operate the device from the current of AC 220 V.
Inductor type welding generator is used as an energy source. Generator will be drive by a belt drive attached to the engine . 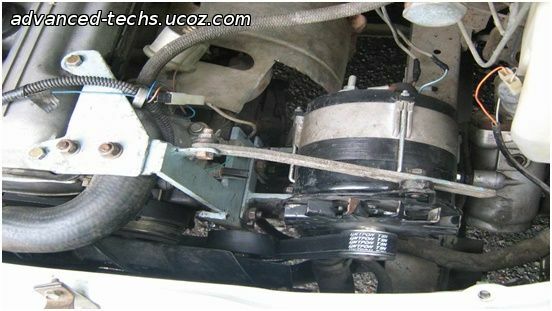 Installation of the generator is carried out using an installation fixture to the vehicle buyer. 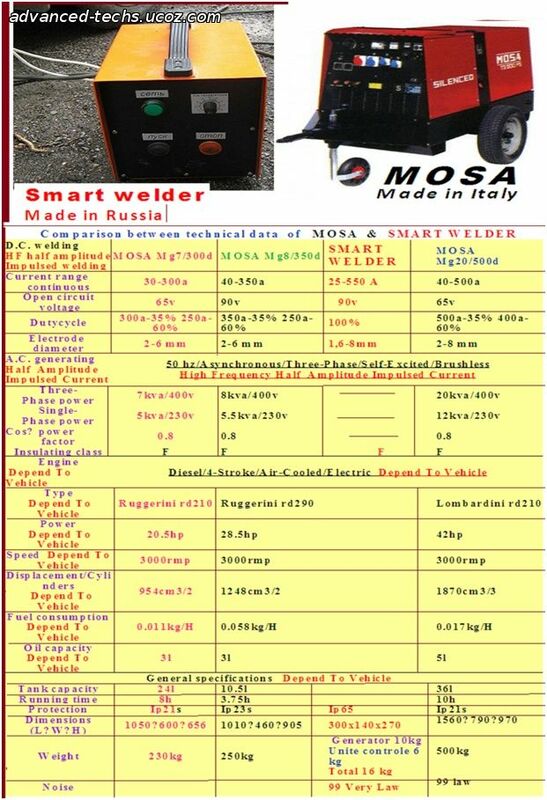 The weight is not more than 6 kg for SMART WELDER 1 and 7 kg for SMART WELDER 2. Install the unit on the vehicle should be carried out by the supplier. The generator provides performance after the effect of vibration loads, 50 Hz with acceleration 100m/s2 for 8h. The control unit generator is operational after the action of vibration loads, 50 Hz with acceleration 50m/s2 for 8h. Indicators welding properties of the unit, (the initial ignition of the arc, the process stability, spraying metal in welding quality and flexibility of the arc) of at least 3 points on the GOST 25 616. Construction aggregates and eliminates damage to the residual deformation of the welding and short-term short-circuit. "RATON for Advanced technologies Co." offers automotive invertere PIC 4000. - Inverter - 1 pc. - Data sheet - 1 pc. - User manual - 1 pc. The welding machine " SMART Welder 1" consists of two structural elements: overall control unit and a generator. The generator is mounted directly on the engine of any vehicle, regardless of the type of fuel used.
" SMART Welder 1" - self-contained welding machine for welding of steel, iron, copper, cutting and welding metals. The welding machine ‘’SMART Welder 1’’ generates a high frequency pulse current, adjustable in the range of 25 to 550 A.
Welding electrodes made from any type of coating diameter ranging from 1.6 to 8 mm. "SMART Welder 1" allow you to produce professional welders work in all weather conditions: from -50 ° C to +55 ° C regardless of rainfall. The welder device " SMART Welder 1" provides continuous high quality welds an unlimited amount of time. One major advantage of " SMART Welder 1" compared with the Traditional Welding Unit by Fuel Generator - no need for regular maintenance. Inspection is carried out once a year. In addition to the welding machine " SMART Welder 1" allows the use of pneumatic and electrical equipment intended for operation on 220V AC power to 4.5 kW power starting to 8kW. And most importantly, the welding machine “SMART Welder 1” several times cheaper than the Traditional Welding Unit by Fuel Generator! Test 1: 3 “SMART Welder 1” devices welding for NON STOP 8 hours by electrodes of 5 mm in an attempt to achieve the protection operational system at the control unit to block the work. Test result: the device “SMART Welder 1” continues to work without interruptions and without sacrificing the original quality seam indicators! Test 2: before start welding the electrode is immersed in water, and then we put it in the holder and immediately begin weld. 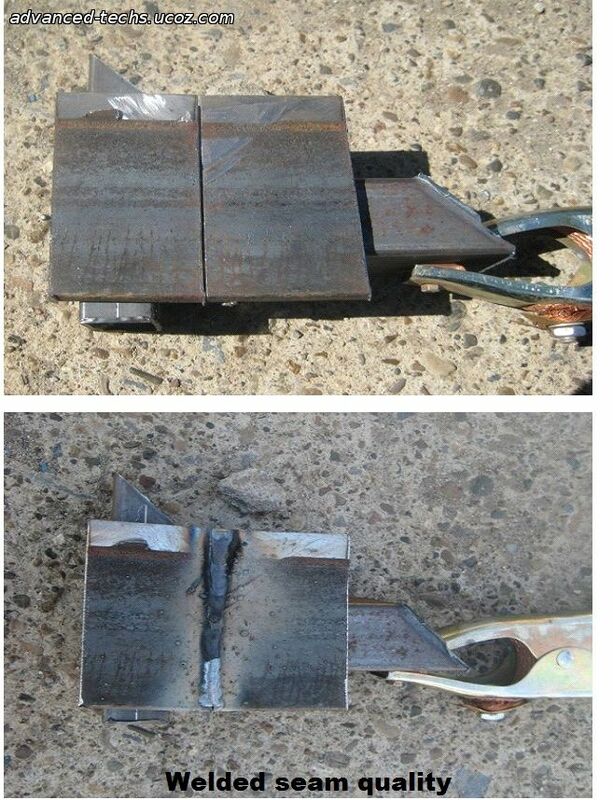 Test result: aggregate “SMART Welder 1” seamlessly works with consistently high quality. • Household devices (microwave or electric oven, electric kettle, etc.). Automotive inverters specifications: Model: PIC 4000. Made in Russia. Installation time - a few hours! Welding diesel generator or welding petrol generator? Installation of the unit must be made by specialists of our company. It is possible to train your staff for qualified installation with certification. Check with our managers! DC welding dynamo DK 350-2, K 350-2 K 350-2 K 220 Max. The Dynamo 10 kg. Smart-1&2 7 kg f, Current is not DC not AC is Impulse High Frequency Half Amplitude current. - Welding electrodes can made with any type of coating, diameters from 1.6 to 8 mm. 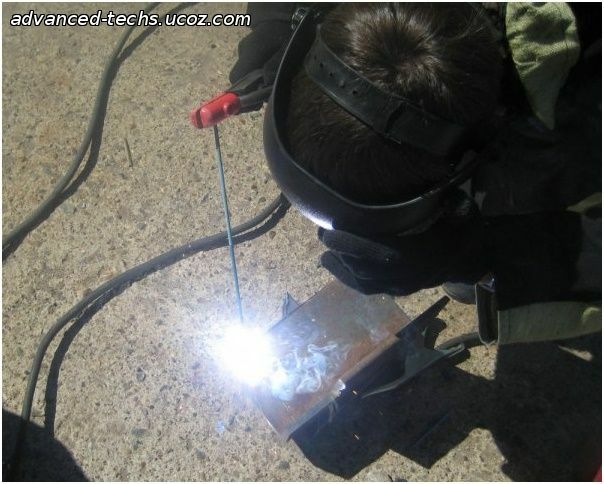 Smart welder is used for welding cast iron, steel, copper, cutting and welding metals. The welding current of Smart welder is high pulse current half amplitude. The diameter of the electrode used from 1.6 to 8 mm. The ability to use the remote unit (welding source) at a large distance from the external drive provides ideal conditions for the production of welding, plumbing and other works of high complexity. Welding cable length stand-alone Smart welder (without reducing the current) - 100 meters. Unlike conventional welding machines Smart welder does not require breaks at work and is able to produce quality welds during the work shift continuously. Universal welding generator is self- Smart Welder is suitable for use outdoors (in the construction and industrial sites, agriculture, etc. ), during adverse weather conditions (rain, snow). Smart Welder is designed for use as a power supply for manual arc welding electrodes with any type of coating. - Stainless Steel and Molybdenum.